"Teaching youth the true meaning and value of dank memes"
The future, we all want it to be better for our youth. Unfortunately it is very difficult to get the traction to make quality memes when first starting out. We wanted to smooth this process out for these youngsters as much as possible. 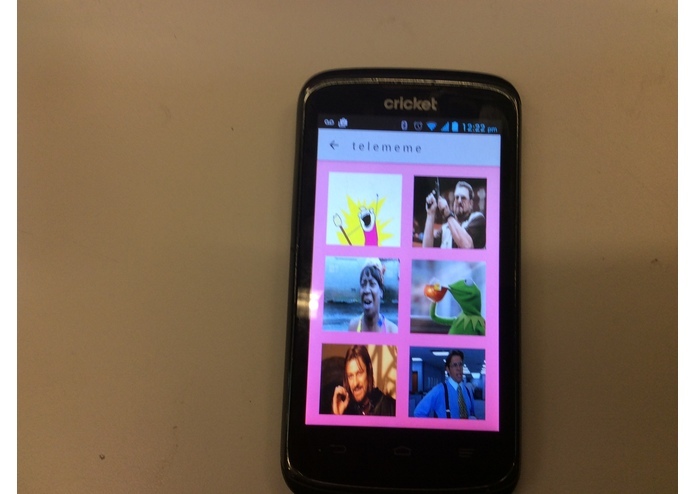 The first product in the Telememe line is the Meme Improvement Bundle. It has two key components. First, the Telememe Generation Suite. 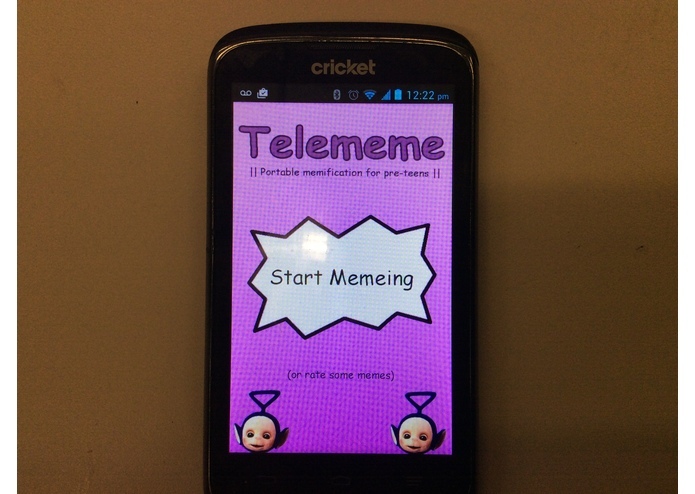 The Telememe Generation Suite is an app that supervises your preteen's meme creating process. Mainly, it ensures that the memes that they create will be dank. The second component of the Meme Improvement Bundle is your young preteen's companion, Dipsy. Dipsy will give your youth positive feedback for making dank memes and negative feedback for making unsatisfactory memes. Dipsy was created by stuffing a child sized costume with recyclable materials. Dipsy has three methods of output. The first is positive chirps to encourage your preteen. This was implemented using a buzzer connected to one of the pwm pins on the Arduino Uno. The form of output is from Dipsy's beautiful eyes it will flash them at the user when it is pleased, and it will stare menacingly at the user when it is displeased. Lastly was the most difficult output to implement, the vaping device. The vaping device consists of an e-cigarette, an adapter and a pump. The pump and e-cigarette are activated through separate relay circuits that are switched by signals from the Arduino. Imposing text on image in Android and saving it as an image. Connecting an app to the Arduino via Bluetooth. Soldering circuits onto boards instead of leaving them on the breadboard. 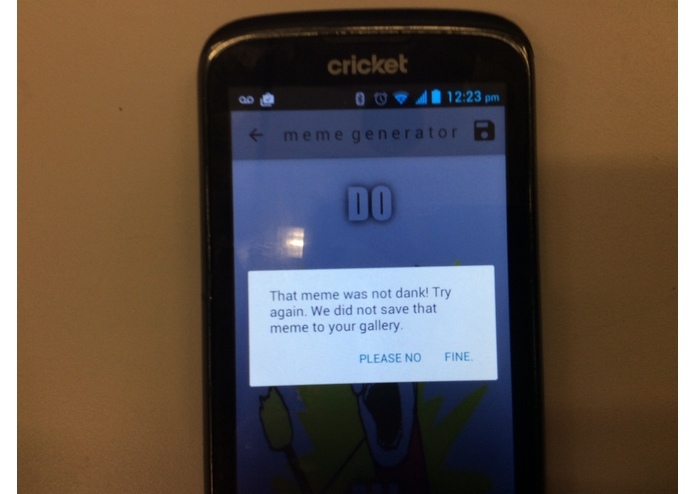 Developing an algorithm to determine if created memes are dank or not. Scaling the app for different resolutions. Fetching images from the web which requires asynchronous tasks. Helping to make an app after just learning about Android development. Using relays successfully for the first time. 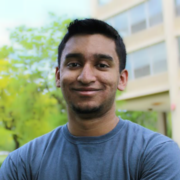 Learning how to send data to connected Bluetooth devices in an Android application. We learned how to implement relays to use signals from the Arduino to activate higher current circuits. We also learned how to use Bluetooth devices through an Android app. Moving all of the components onto custom circuit boards, including the microcontroller. Using a chargeable battery instead of a AC to DC power supply. Improving the dank checking algorithm. Designed and implemented the hardware in the project. 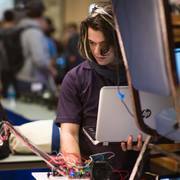 Created the program that received Bluetooth signals and converted it to output. 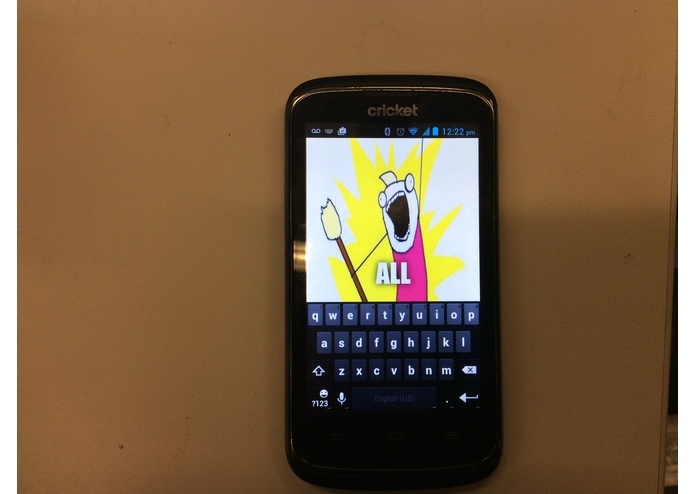 Worked most of the front and back end for the android app running telememe. 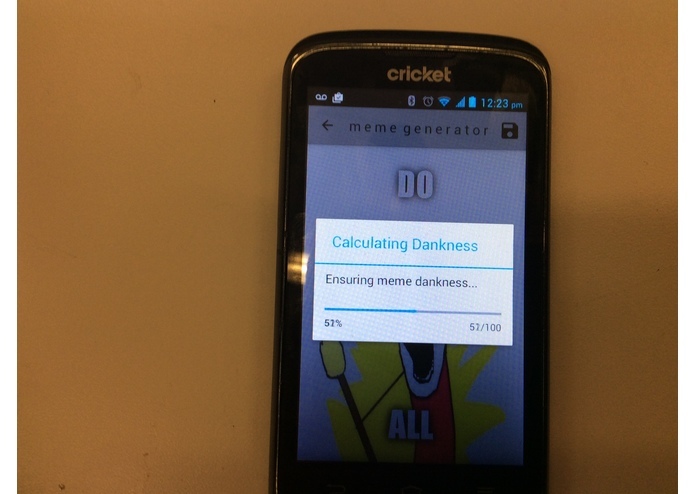 Designed and implemented the main meme generator and hacked together some repos/android source code to make dankornot work. Work in progress!